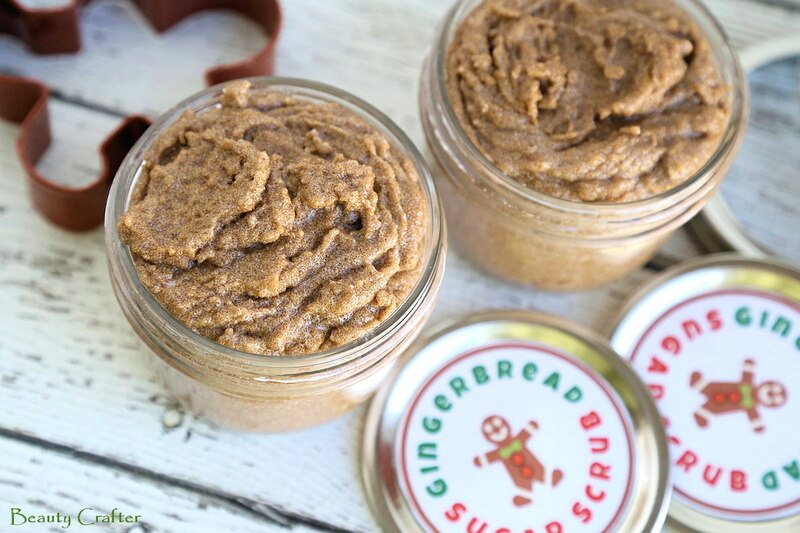 Gingerbread sugar scrub is a fantastic last minute DIY holiday gift idea. The whipped sugar scrub recipe only takes a few minutes to make and I’ve made some free printable gingerbread sugar scrub labels so you can have these homemade Christmas presents ready for gifting in a flash! Mmmm… fresh, well moisturized skin, that smells like gingerbread cookies, that could lead to a fun Christmas Eve. The recipe is even more appealing, since it is so easy to make. The gingerbread body scrub is a simple blend of two coconut oils, brown sugar, fragrance and a little cinnamon. Two coconut oils are used, both to ensure a good texture and spreadability to the scrub, but also to get great absorbency and rich moisturizing ability. As brown sugar is naturally higher in moisture than white, you may notice the ratio of oils to sugar is lower in this recipe than in some of my other sugar scrub recipes. 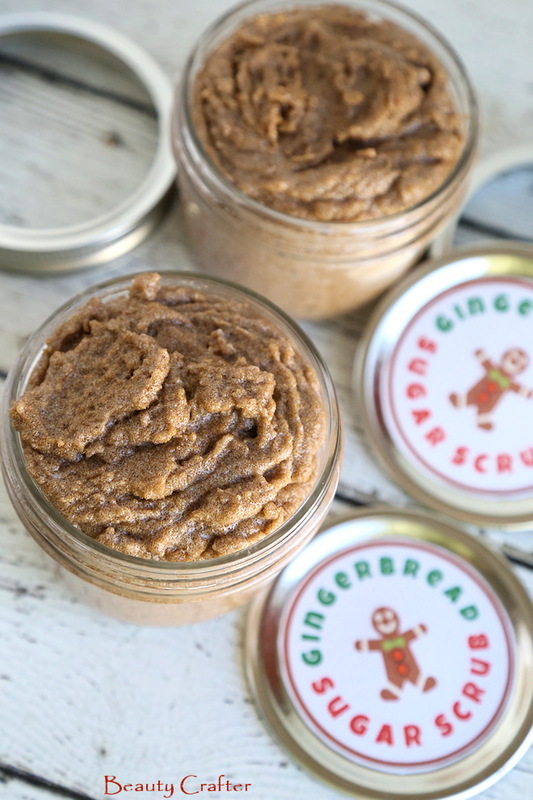 This gingerbread scrub would pair very well with my Gingerbread Bath Bombs Recipe or Peppermint Sugar Scrub. Just toss in a nice bath brush or scrubby to finish out the holiday theme DIY gift basket. I feel a nice label really makes a body scrub more appealing to present as a Christmas gift. Like my other sugar scrubs this label is designed to fit the lid of a standard mason jar. I package my body scrubs in 4 ounce jelly jars that use these lids, and I find them to be a manageable size, yet enough for several uses. This Christmas sugar scrub is perfect for gifting and takes just a few minutes to make. The whipped sugar scrub is a exfoliates the skin while moisturizing and making you smell like a gingerbread cookie! Print your labels and adhere them to lids. If refined coconut oil is hard, warm it to soften. Whisk the refined and fractionated coconut oils together, along with fragrance and cinnamon, until smooth and creamy. Add the dark brown sugar and mix well. Scoop into jars and seal. The gingerbread scrub is ready to gift.